Akira Minami, Ami Ishii, Sumika Shimba, Takahiro Kano, Eri Fujioka, Saki Sai, Nagisa Oshio, Sayaka Ishibashi, Tadanobu Takahashi, Yuuki Kurebayashi, Hiroaki Kanazawa, Nobuhiro Yuki, Tadamune Otsubo, Kiyoshi Ikeda and Takashi Suzuki. Protecting-Group-Free Synthesis of Glycopolymers and Their Binding Assay with Lectin and Influenza Virus. Young Coconut Juice Supplementation Results in Greater Bone Mass and Bone Formation Indices in Ovariectomized Rats: A Preliminary Study. Preferential accumulation of 14C-N-glycolylneuraminic acid over 14C-N-acetylneuraminic acid in the rat brain after tail vein injection. Isolation and characterization of monoclonal antibodies specific for chondroitin sulfate E.
Production and purification of secretory simian cytidine monophosphate-N-acetyl neuraminic acid hydroxylase by using baculovirus-protein expression system. Rapid fluorescent detection assay for human parainfluenza viruses. Amino acid substitutions contributing to α2,6-sialic acid linkage binding specificity of human parainfluenza virus type 3 hemagglutinin-neuraminidase. FEBS Lett. 589, 1278?1282, 2015. doi:10.1016/j.febslet.2015.03.036. Recombinant IgA specific for influenza A virus hemagglutinin: production, functional analysis and formation of secretory IgA. Viral Immunol. 28, 170-178 (2015) doi:10.1089/vim.2014.0098. Consecutive oral administration of Bifidobacterium longum MM-2 improves the defense system against influenza virus infection by enhancing natural killer cell activity in a murine model. Microbiol. Immunol. 59, 1-12 (2015) doi: 10.1111/1348-0421.12210. Effects of the inhibition of intestinal P-glycoprotein on aliskiren pharmacokinetics in cynomolgus monkeys. Low-pH Stability of Influenza A Virus Sialidase Contributing to Virus Replication and Pandemic. Role of Sulfatide in Influenza A virus Replication. Properties of and a new technique for fluorescent detection of influenza virus sialidase. Role of glycans in viral infection. A novel immunochromatographic system for easy-to-use detection of group 1 avian influenza viruses with acquired human-type receptor binding specificity. Protecting-group-free Synthesis of Glycopolymers Bearing Sialyloligosaccharide and their High Binding with Influenza Virus. A novel method for detection of Newcastle disease virus with a fluorescent sialidase substrate. This paper was selected as a cover of Biol. Pharm. Bull. 37 (10), 2014. This paper was selected as "Highlighted papers 2014 selected by Editor-in-Chief" in Biol. Pharm. Bull. Terminal Sialic Acid Linkages Determine Different Cell Infectivities of Human Parainfluenza Virus Type 1 and Type 3. Computational design of a sulfoglucuronide derivative fitting into a hydrophobic pocket of dengue virus E protein. N-glycolylneuraminic Acid on Human Epithelial Cells Prevents Entry of Influenza A Virus with N-glycolylneuraminic Acid Binding Ability. Measurement of aberrant glycosylation of prostate specific antigen can improve specificity in early detection of prostate cancer. Imaging of influenza virus sialidase activity in living cells. 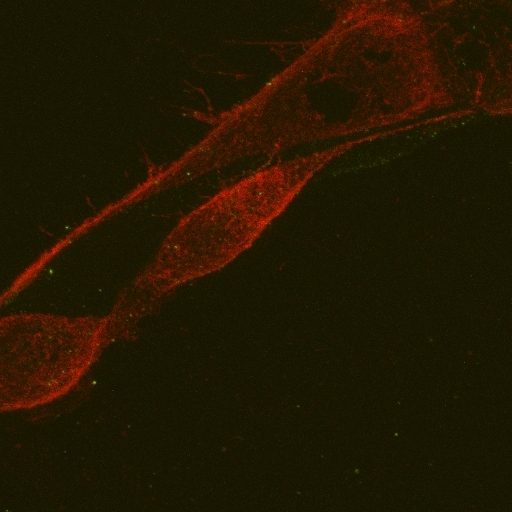 Histochemical fluorescent staining of Sendai virus-infected cells with a novel sialidase substrate. Visualization of sialidase activity in mammalian tissues and cancer detection with a novel fluorescent sialidase substrate. Lack of effect of the ethanol extract of Pleurotus eryngii on bone metabolism in ovariectomized rats. Facile Synthesis of Sulfated Sialoglycopolypeptides with a γ-Polyglutamic Acid Backbone as Hemagglutinin Inhibitors against Influenza Virus. Ferrier glycosylation reaction catalyzed by Bi(OTf)3-montmorillonite K-10: efficient synthesis of 3,4-unsaturated sialic acid derivatives: synthesis and biological evaluation as inhibitors of human parainfluenza virus type 1. Binding of influenza viruses to glycans. Improvement of depression-like behavior and memory impairment with the ethanol extract of Pleurotus eryngii in ovariectomized rats. Sensitive and direct detection of receptor binding specificity of highly pathogenic avian influenza A virus in clinical samples. 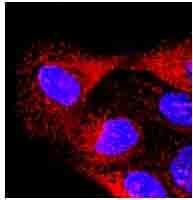 Influenza virus utilizes N-linked sialoglycans as receptors in A549 cells. Catalytic preference of Salmonella typhimurium LT2 sialidase for N-acetylneuraminic acid residue over N-glycolylneuraminic acid residue. Mutations in NA that induced low pH-stability and enhanced the replication of pandemic (H1N1) 2009 influenza A virus at an early stage of the pandemic. Binding kinetics of sulfatide with influenza A virus hemagglutinin. Sulfatide regulates caspase-3-independent apoptosis of influenza A virus through viral PB1-F2 protein. Crabohydrate-related inhibitors of dengue virus entry. 2-(Benzothiazol-2-yl)-phenyl-β-D-galactopyranoside derivatives as fluorescent pigment dyeing substrates and their application for the assay of β-D-galactosidase activities. Syntheses of 2-Deoxy-2,3-didehydro-N-acetylneuraminic Acid Analogues Modified by a-Acylaminoamido Groups at the C-4 Position Using Isocyanide-Based Four-Component Coupling and Biological Evaluation as Inhibitors of Human Parainfluenza Virus Type 1. Takashi Suzuki： Prophylaxis effect of influenza virus by green tea. Takashi Suzuki：Prophylaxis of influeza and cold - function of fresh green tea - . Amino acid determinants conferring stable sialidase activity at low pH for H5N1 influenza A virus neuraminidase. Tomohiro Nohara, Akihiro Imamura, Maho Yamaguchi, Kazuya I. P. J. Hidari, Takashi Suzuki, Tatsuya Komori, Hiromune Ando, Hideharu Ishida, Makoto Kiso. Design and Synthesis of a Novel Ganglioside Ligand for Influenza A Viruses. Kazuya I.P.J. Hidari, Kiyoshi Ikeda, Ippei Watanabe, Tomoko Abe, Ayumi Sando, Yuji Itoh, Hiroaki Tokiwa, Kouichi Morita, Takashi Suzuki. 3-O-sulfated glucuronide derivative as a potential anti-dengue virus agent. Tadanobu Takahashi, Kazuhiko Ito, Keijo Fukushima, Masahiro Takaguchi, Takuya Hayakawa, Yasuo Suzuki, and Takashi Suzuki. Sulfatide Negatively Regulates the Fusion Process of Human Parainfluenza Virus Type 3. Takashi Yamanaka, Manabu Nemoto, Hiroshi Bannai, Koji Tsujimura, Takashi Kondo, Tomio Matsumura, Masanori Muranaka, Takanori Ueno, Yuta Kinoshita, Hidekazu Niwa, Kazuya I. P. J. Hidari and Takashi Suzuki. No evidence of horizontal infection in horses kept in close contact with dogs experimentally infected with canine influenza A virus (H3N8). Yuji Itoh, Ayumi Sando, Kiyoshi Ikeda, Takashi Suzuki, Hiroaki Tokiwa. Origins of the inhibitory activity of 4-O-substituented sialic derivatives of human parainfluenza virus. Shinya Yamada, Kyoko Shinya, Ayato Takada, Toshihiro Ito, Takashi Suzuki, Yasuo Suzuki, Quynh Le, Masahito Ebina, Noriyuki Kasai, Hiroshi Kida, Taisuke Horimoto, Pierre Rivailler, Limei Chen, Ruben Donis, Yoshihiro Kawaoka. Adaptation of a duck influenza A virus in quail. Hirokazu Yagi, Shinya Watanabe, Takashi Suzuki, Tadanobu Takahashi, Yasuo Suzuki, Koichi Kato. Comparative Analyses of N-Glycosylation Profiles of Influenza A Viruses Grown in Different Host Cells. Kei-ichi Watanabe, Kazuya I.P.J. Hidari, Takashi Suzuki. Cold-shock protein expression system facilitates the solubility of human ST6Gal I in Escherichia coli. Akira Minami and Takashi Suzuki. Activity and the Role of Sialidase in the Brain. Tadanobu Takahashi and Takashi Suzuki. Role of sulfatide in normal and pathological cells and tissues. Jiancheng Chen, Shuhei Yamada, Yoshiki Hama, Ajaya Kumar Shetty, Takanari Kobayashi, Hiroshi Oda, Kosuke Seiki, Eunmi Kim, Takashi Kimura, Naonori Takahashi, Kazuya I. P. J. Hidari, Takashi Suzuki, Yasuo Suzuki, Kazuyuki Sugahara. Unique heparan sulfate from shrimp heads exhibits a strong inhibitory effect on infections by dengue virus and Japanese encephalitis virus. Akira Minami, Hirotaka Shimizu, Yuko Meguro, Naoki Shibata, Hiroaki Kanazawa, Kiyoshi Ikeda and Takashi Suzuki. Imaging of sialidase activity in rat brain sections by a highly sensitive fluorescent histochemical method. Keijo Fukushima, Tadanobu Takahashi, Masahiro Takaguchi, Hiroo Ueyama, Seigo Ito, Yuuki Kurebayashi, Tomohiro Kawanishi, Jennifer L. Mckimm-Breschkin, Toru Takimoto, Akira Minami, Takashi Suzuki. Plaque formation assay for human parainfluenza virus type 1. Reiko Nishino, Kiyoshi Ikeda, Takuya Hayakawa, Tadanobu Takahashi, Takashi Suzuki, Masayuki Sato. Syntheses of 2-deoxy-2,3-didehydro-N-acetylneuraminic acid analogues modified by N-sulfonylamidino groups at the C-4 position and biological evaluation as inhibitors of human parainfluenza virus type 1. Sineewanlaya Wichit, Akanitt Jittmittraphap, Kazuya I.P.J. Hidari, Butsaya Thaisomboonsuk, Songsak Petmitr, Sukathida Ubol, Chie Aoki, Saki Itonori, Koichi Morita, Takashi Suzuki, Yasuo Suzuki, Wipawee Jampangern. Dengue virus type 2 recognizes carbohydrate moiety of neutral glycosphingolipids in mammalian and mosquito cells. Atsushi Yoshida, Yasuo Hirooka, Yusuke Sugata, Mariko Nitta, Tamiko Manabe, Shunsuke Ido, Kouki Murakami, Repon Kumer Saha, Takashi Suzuki, Motohiro Ohshima, Akira Yoshida, Kunihiko Itoh, Kosuke Shimizu, Naoto Oku, Takumi Furuta, Tomohiro Asakawa, Toshiyuki Wakimoto, Toshiyuki Kan. Concise synthesis of catechin probes that would enable analysis and imaging of EGCg dynamics. Masahiro Takaguchi, Tadanobu Takahashi, Chika Hosokawa, Hiroo Ueyama, Keijo Fukushima, Takuya Hayakawa, Kazuhiko Itoh, Kiyoshi Ikeda, Takashi Suzuki. A single amino acid mutation at position 170 of human parainfluenza virus type 1 fusion glycoprotein induces obvious syncytium formation and caspase-3-dependent cell death. Masanori Muranaka, Takashi Yamanaka, Yoshinari katayama, Kazuya I.P.J. Hidari, Hiroaki Kanazawa, Takashi Suzuki, Kazuomi Oku, Toshifumi Oyamadai. Distribution of influenza virus sialoreceptors on upper and lower respiratory tract in horses and dogs. Kazuya I.P.J. Hidari and Takashi Suzuki. Antiviral agents targeting glycans on dengue virus E-glycoprotein. Expert Rev. Anti Infect. Ther. 9 (11), 983-985, 2011. Function of membrane rafts in viral lifecycles and host cellular response. Biochemistry Research International vol. 2011, Article ID 245090, 23 pages, 2011. Binding of sulfatide to recombinant hemagglutinin of influenza A virus produced by a baculovirus protein expression system. Structure and function of glycoconjugates involved in dengue virus infection. Promotion effect of influenza A virus replication by sulfatide. Role of sulfatide in virus infection and replication. Identification of amino acid residues of influenza A virus H3 HA contributing to the recognition of molecular species of sialic acid. Mechanisms of the action of povidone-iodine against human and avian influenza A viruses: its effects on hemagglutination and sialidase activities. Systematic syntheses of influenza neuraminidase inhibitors: A series of carbosilane dendrimers uniformly functionalized with thioglycoside-type sialic acid moieties. Molecular Design of Spacer-N-Linked Sialoglycopolypeptide as Polymeric Inhibitors Against Influenza Virus Infection. Glucosyl Hesperidin Prevents Influenza A Virus Replication In Vitro by Inhibition of Viral Sialidase. Identification and characterization of flavonoids as sialyltransferase inhibitors. Chemoenzymatic Synthesis of Sialoglycopolypeptides As Glycomimetics to Block Infection by Avian and Human Influenza Viruses. Role of membrane rafts in viral infection. Versatile Synthesis of Head Group Functionalized Phospholipids via Oxime Bond Formation. Structure and anti-dengue virus activity of sulfated polysaccharide from a marine alga. Comparison of enzymatically synthesized inulin, resistant maltodextrin and clofibrate effects on biomarkers of metabolic disease in rats fed a high-fat and high-sucrose (cafeteria) diet. Chemoenzymatic synthesis, characterization, and application of glycopolymers carrying lactosamine repeats as entry inhibitors against influenza virus infection. 2-Deoxy-2,3-didehydro-N-acetylneuraminic acid analogs structurally modified by thiocarbamoylalkyl groups at the C-4 position: Synthesis and biological evaluation as inhibitors of human parainfluenza virus type 1. Sulfatide is required for efficient replication of influenza A virus. The expression of sialylated high-antennary N-glycans in edible bird’s nest. Surface localization of the nuclear receptor CAR in influenza A virus-infected cells. Clarithromycin Inhibits Progeny Virus Production from Human Influenza Virus-Infected Host Cells. Claudin-16 is directly phosphorylated by protein kinase a independently of a vasodilator-stimulated phosphoprotein-mediated pathway. Down-regulation of TRPM6-mediated magnesium influx by cyclosporin A.
Takashi Suzuki, Tadanobu Takahashi, Yasuo Suzuki. Binding kinetics of influenza viruses to sialic acid-containing carbohydrates. Slow diffusion of lactose out of galectin-3 crystals monitored by X-ray crystallography: possible implications for ligand-exchange protocols. Synthesis of 4-O-[3-(aryl)prop-2-ynyl] -Neu5Ac2en and its 4-epi-analogs modified at C-4 by Sonogashira coupling reaction. Novel linear polymers bearing thiosialosides as pendant-type epitopes for influenza neraminidase inhibitors. The qual and chicken intestine have sialyl-Gal sugar chains responsible for the binding of influenza A viruses to human type receptors. Concise synthesis of dideoxy-epigallocatechin gallate (DO-EGCG) and evaluation of its anti-influenza virus activity. Synthesis and evaluation of 4-O-alkylated 2-deoxy-2,3-didehydro-N-acetylneraminic acid derivatives as inhibitors of human parainfluenza virus type-3 sialidase activity. Lactotriaose-containing carbosilane dendrimers: Syntheses and lectin-binding activities. Takashi Suzuki, Tadanobu Takahashi, Kazuya Hidari. Hemagglutinin mutations responsible for the binding of H5N1 influenza A viruses to human-type receptors. 2-deoxy-2,3-didehydro-N-acetylneuraminic acid analogues structurally modified at the C-4 position: Synthesis and biological evaluation as inhibitors of human parainfluenza virus type1. Suppression of the biosynthesis of cellular sphingolipids results in the inhibition of the maturation of influenza virus particles in MDCK cells. Chemoenzymatic synthesis and application of a sialoglycopolymer with a chitosan backbone as a potent inhibitor of human influenza virus hemagglutination. Chao-Tan Guo, Tadanobu Takahashi Wakoto Bukawa, Noriko Takahashi, Hirokazu Yagi, Koichi Kato, Kazuya I-P Jwa Hidari, Daisei Miyamoto, Takashi Suzuki, Yasuo Suzuki. Edible bird's nest extract inhibits influenza virus infection. Gangliosides are not essential for influenza virus infection. Identification and characterization of carbohydrate molecules in mammalian cells recognized by dengue virus type 2. Virus infection and lipid rafts. Sialidase activity of influenza A virus in a endocytic pathway enhances viral replication. Design and synthesis of artifical phospholipid for selective cleavage of integral membrane protein. Influence of glycosylation on the efficacy of an env-based vaccine against simian immunodeficiency virus SIVmac239 in a macaque AIDS model. The synthetic peptide derived from the NH2-terminal extracellular region of an orphan G protein-coupled receptor, GPR1, preferentially inhibits infection of X4 human immunodeficiency virus type 1. Glycoconnj. J. 22, 1-11 (2005). Structure and fuction of pandemic influenza A virus neuraminidase. Enhanced virulence of influenza A viruses with the haemagglutinin of the 1918 pandemic virus. Antigenic alteration of influenza B virus associated with loss of a glycosylation site due to host-cell adaptation. In Vitro and in vivo inhibitory effects of disodium cromoglycate on influenza virus infection. 2,3-Difluorosialic acid derivatives structurally modified at the C-4 position: synthesis and biological evaluation as inhibitors of human parainfluenza virus type 1. Design of N-acetyl-6-sulfo-β-D-glucosaminide-based inhibitors of influenza virus sialidase. Evolutional analysis of human influenza A virus N2 neuraminidase genes based on the transition of the low-pH stability of sialidase activity. Cerebroside sulfotransferase deficiency ameliorates L-selectin-dependent monocyte infiltration in the kidney after ureteral obstruction. Functional analysis of mouse 3-phosphoglycerate dehydrogenase (Phgdh) gene promoter in developing brain. Mouse 3-phosphoglycerate dehydrogenase gene: genomic organization, chromosomal localization, and promoter analysis. Glycotentacles: Synthesis of cyclic glycopeptides toward a tailored blocker of influenza virus hemagglutinin. Tadanobu Takahashi, Takashi Suzuki, Kazuya I.-P. Jwa Hidari, Daisei Miyamoto, and Yasuo Suzuki. Shinji Kojima, Teruaki Hasegawa, Takahiro Yonemura, Ken Sasaki, Kenji Yamamoto, Yutaka Makimura, Tadanobu Takahashi, Takashi Suzuki, Yasuo Suzuki, and Kazukiyo Kobayashi. Ruthenium complexes carrying a disialo complex-type oligosaccharide: enzymatic synthesis and its application to a luminescent probe to detect influenza viruses. Yuko Matsushima-Hibiya, Masahiko Watanabe, Kazuya I.-P. Jwa Hidari, Daisei Miyamoto, Yasuo Suzuki, Takeshi Kasama, Takashi Kanazawa, Kotaro Koyama, Takashi Sugimura, and Keiji Wakabayashi. Identification of glycosphingolipid receptors for pierisin-1, a guanine-specific ADP-ribosylating toxin from the cabbage butterfly. Yasuyuki Imai, Takashi Fukui, Kohta Kurohane, Daisei Miyamoto, Yasuo Suzuki, Tomoyuki Ishikawa, Yousuke Ono, and Masaki Miyake. Restricted expression of shiga toxin binding sites on mucosal epithelium of mouse distal colon. Kazuhide Totani, Takeshi Kubota, Takao Huroda, Takeomi Murata, Kazuya I.-P. Jwa Hidari, Takashi Suzuki, Yasuo Suzuki, Kazukiyo Kobayashi, Hisashi Ashida, Kenji Yamamoto, and Taichi Usui. Chemoenzymatic synthesis and application of glycopolymers containing multivalent sialyloligosaccharides with a poly(L-glutamic acid) backbone for inhibition of infection by influenza viruses. Oligosaccharides as receptors for JC virus. An O-glycoside of sialic acid derivative that inhibits both hemagglutinin and sialidase activities of influenza viruses. Urinary concentrating defect in rats given Shiga toxin: elevation in urinary AQP2 level associated with polyuria. Asialo-GM1 and asialo-GM2 are putative adhesion molecules for Moraella catarrhalis. Therapeutic effect of sulphated hyaluronic acid, apotential selectin-blocking agent, on experimental progressive mesangial proliferative glomerulonephritis. Development of new derivatives of sialic acid with antiviral activities against human parainfluenza viruses. Takashi Suzuki, Kiyoshi Ikeda, Noriko Koyama, Chika Hosokawa, Toshihiro Kogure, Tadanobu Takahashi, Kazuya I.-P. Jwa Hidari, Daisei Miyamoto, Kiyoshi Tanaka, and Yasuo Suzuki. Inhibition of human parainfluenza virus type 1 sialidase by analogs of 2-deoxy-2,3-dihehydro-N-acetylnuraminic acid. Chao-Tan Guo, Shinji Ohta, Akihiro Yoshimoto, Kuniho Nakata, Kennedy F. Shortridge, Tadanobu Takahashi, Takashi Suzuki, Daisei Miyamoto, Kazuya I.-P. Jwa Hidari, and Yasuo Suzuki. A unique phosphatidylinositol bearing a novel branched-chain fatty acid from Rhodococcus equi binds to influenza virus hemagglutinin and inhibits the infection of cells. Takehiko Saito, Wilina Lim, Takashi Suzuki, Yasuo Suzuki, Hiroshi Kida, Shin-Ichiro Nishimura, and Masato Tashiro. Characterization of a human H9N2 influenza virus isolated in Hong Kong. Tadanobu Takahashi, Yasuo Suzuki, Daisuke Nishinaka, Nana Kawase, Yukiko Kobayashi, Kazuya I.-P. Jwa Hidari, Daisei Miyamoto, Chao-Tan Guo, Kennedy F. Shortridge, and Takashi Suzuki. Duck and human pandemic influenza A viruses retain sialidase activity in low pH conditions. Takashi Suzuki, Allen Portner, Ruth A. Scroggs, Makoto Uchikawa, Noriko Koyama, Kazuko Matsuo, Yasuo Suzuki, and Toru Takimoto. Receptor specificities of the human respiroviruses. Engagement of endogenous ganglioside GM1a induces tyrosine phosphorylation involved in neuron-like differentiation of PC12 cells. Mark T. Hughes, Martha McGregor, Takashi Suzuki, Yasuo Suzuki, and Yoshihiro Kawaoka. Adaptation of Influenza A viruses to cells expressing low levels of sialic acid leads to loss of neuraminidase activity. Kiyoshi Ikeda, Kimihiko Sano, Masaki Ito, Megumi Saito, Kazuya Hidari, Takashi Suzuki, Yasuo Suzuki, and Kiyoshi Tanaka. Synthesis of 2-deoxy-2,3-didehydro-N-acetylneuraminic acid analogues modified at the C-4 and C-9 positions and their behaviour towards sialidase from influenza virus and pig liver membrane.